MSC Cruises has announced an all star cast of international chefs onboard its first ever world cruise in January 2019. MSC Magnifica will depart for her epic 2019 World Cruise on January 5, 2019 from Genoa, Italy. Each chef will develop a three- or four-course menu for guests during a dedicated evening, each reflecting the chef’s own particular skill and flair. For his vening onboard, Pastry Chef Jean-Philippe Maury will instead prepare a dessert. Most of the chefs will embark onboard with a select team for a portion of the cruise, working with the on-board chefs to prepare their personalized creations. During these exclusive meals, the chefs will be able to greet and interact with guests in person. 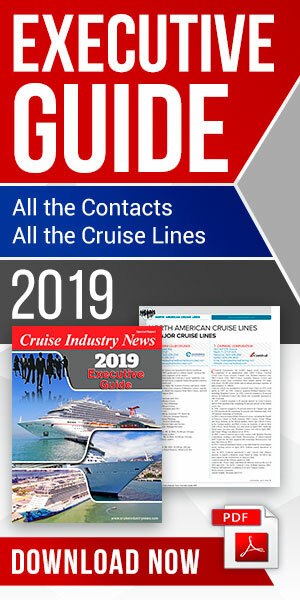 MSC said its 2019 world cruise is sold out. The next chef to be featured onboard MSC Magnifica will be Brazilian star Chef Allan Vila Espejo. Giving guests culinary insight into his rich culture, he will present his full signature four-course menu for a Brazilian-themed dinner on January 15. Finally, Italian chef, Carlo Cracco — another long-time MSC Cruises partner — will join the ship as the final chef in this line-up, as she makes her way back to through the Mediterranean and returns to Italy. The details of the final, one-of-a-kind dining experience featuring Carlo Cracco are forthcoming. MSC Cruises’ own star Corporate Chef Francesco Laforgia and Corporate Pastry Chef Bruno Zaza will prepare 237 different menus for the main restaurants, including thematic dishes tied to the ship’s itinerary, and in the Sahara Buffet.